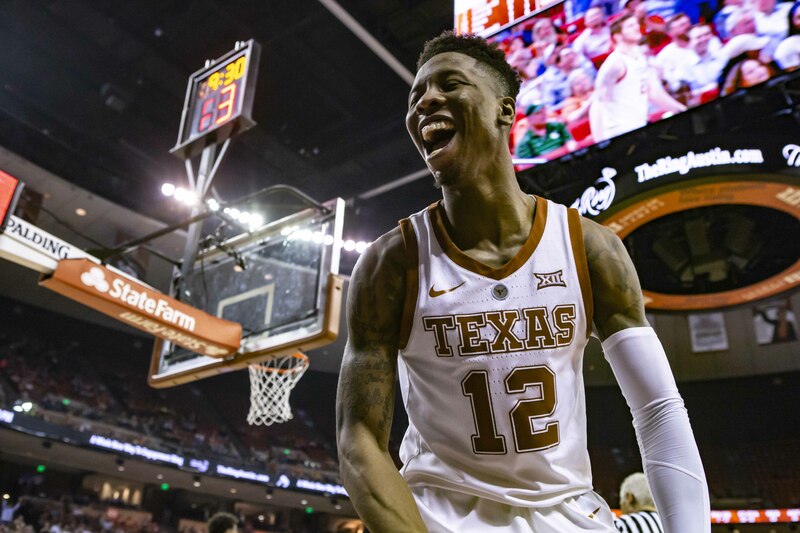 Kerwin Roach II and the Texas Men's Basketball team host Kansas State Tuesday at 8 p.m. looking for a third-straight home win (Photo by Don Bender/Horns Illustrated). AUSTIN — A buzzing band of basketball fans rocking 'The Drum' could make all the difference for the Texas Men’s Basketball team Tuesday in an extremely crucial home contest. The Big 12 Conference-leading Kansas State Wildcats are coming to the Erwin Center tomorrow for a showdown that will go a long way toward determining the season’s stakes for the Longhorns. No. 18 Kansas State leads the Big 12 with an 8-2 mark in the conference, winners of eight straight games overall, and stands at 18-5 overall. 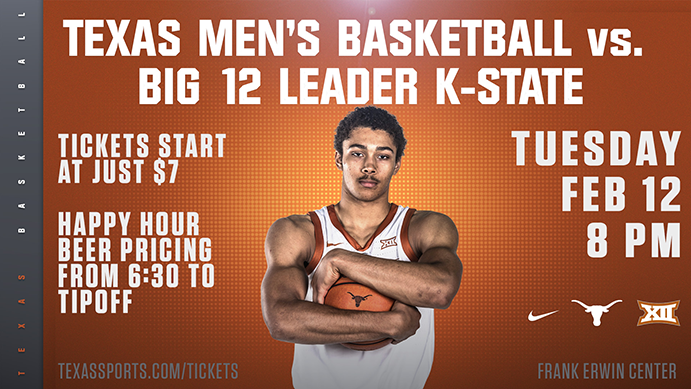 Tickets start at a mere $7 and there is special $5 parking all the way up to 11:59 p.m. tonight as well. Get your tickets at this link, and the $5 click-and-park in the East Campus Garage can be purchased here.